Rom for kunst is an initiative taken by Bane NOR Eiendom in order to promote the production and presentation of temporary art in various venues. Railway stations and public buildings, such as the Oslo Sentralstasjon, is a symbolic building that includes central functions in a city. As a junction for traffic and coming and going, these areas have an influence on people’s everyday lives and contribute to the city’s identity and life. This website presents previous and actual projects from the initiative and acts as a venue for presentation for Internet based art projects. In Norway’s best visited building, Oslo S, the initiative came about in 2001. The objective of the project is to use the area in new ways by presenting location specific art and art related projects in limited periods of time. By means of these projects, we want to arrange for dialogues with the broad public about issues like place, travels and identity. The exhibitions and the events have received great attention and interest in the media as well as by the general public. Oslo S is one of buildings in the country with the heaviest traffic with about 200,000 visitors every day. The visitors constitute a cross section of the population, and the environment in and around the area is characterized by a dynamic and urban atmosphere. 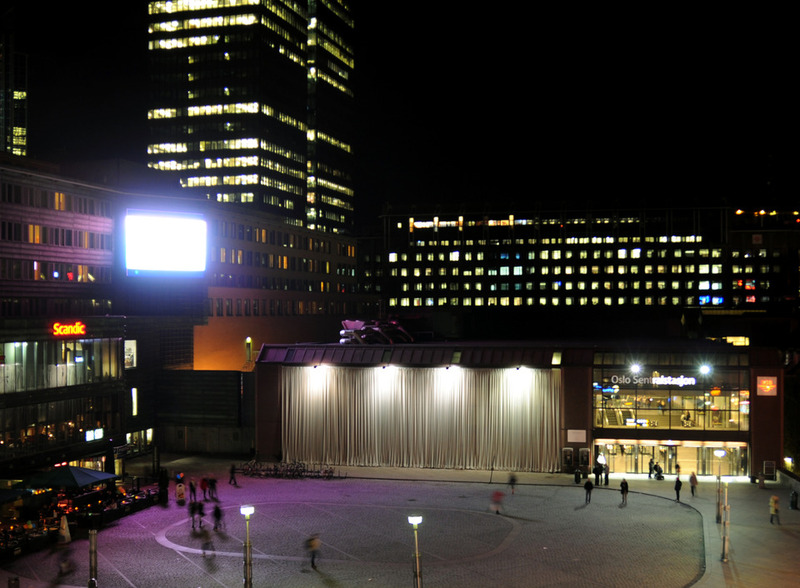 The combination of the central location in the centre of Oslo, the public interest and the number of visitors contributes to make Oslo S an interesting venue for art. To create a new room for art. By tearing the work of art out of the traditional exhibition room and place it in a new frame, art communicates with the audience in new terms. To provide room for art, and in this context, room means time. In an everyday situation, in which time is in the process of becoming a commercial commodity, the goal is to provide time and room for experiences of art. In the years after the initiation of the initiative, the railway station has been the venue for many different projects of art such as large-scale installations, musical stunts, sculptural and visual works of art as well as performance. Bane NOR Eiendom are behind the initiative, whereas Kulturbyrået Mesén are project managers and programme developers. Since the beginning, the initiative has received project funding from several institutions and cultural funds. In addition, Rom for kunst has collaborated with several partners that have contributed in individual projects.